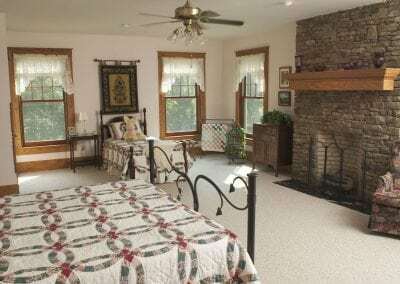 The two and a half story Farm House was completed in 2000 and was styled after the large turn of the century farm houses. Porches almost completely surround the building and provide comfortable seating with views across the property. 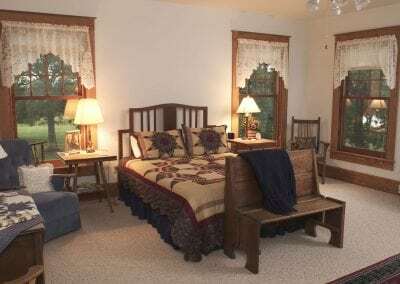 The Farm House offers five guest rooms, Oak Room, Garden Room, Grandpa’s Room, Kitty Room and Sewing Room. 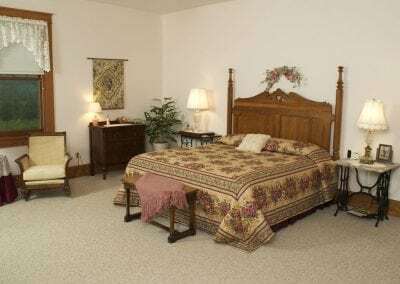 The guest TV is in the downstairs parlor and breakfast is served daily in the spacious dining room.